I'm going to try to keep this review short and sweet since I'm packing two palette reviews in to the one post. 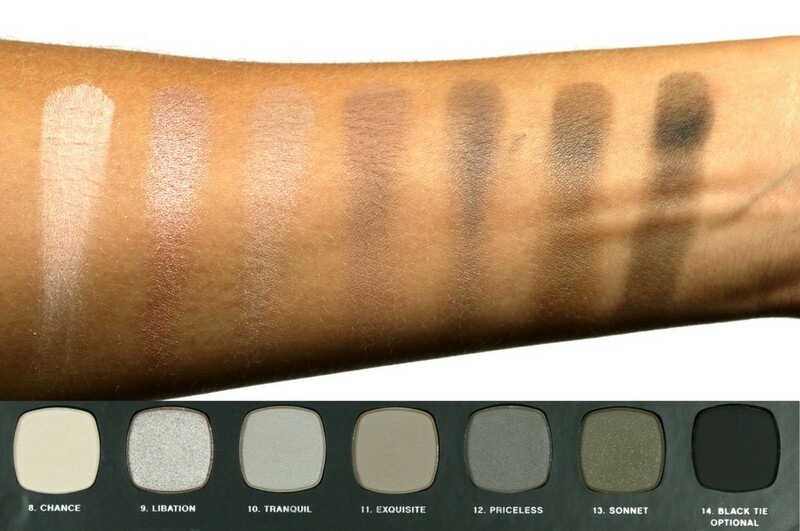 Starting with The Nature of Nudes Palette we have something a little different from Bare Minerals with this one, typically their large palettes contain shadows and coloured face powders but this one is just shadows, I'm praying this is just a taste of the future for Bare Minerals and we will see more eye shadow only palettes in the future. The packaging is firm cardboard with a magnetic closure, it's very slim and I imagine it would travel well. Inside there is a very slender mirror, and 14 eye shadows. The top row contains 7 warm shades while the bottom row contains 7 cool shadows. 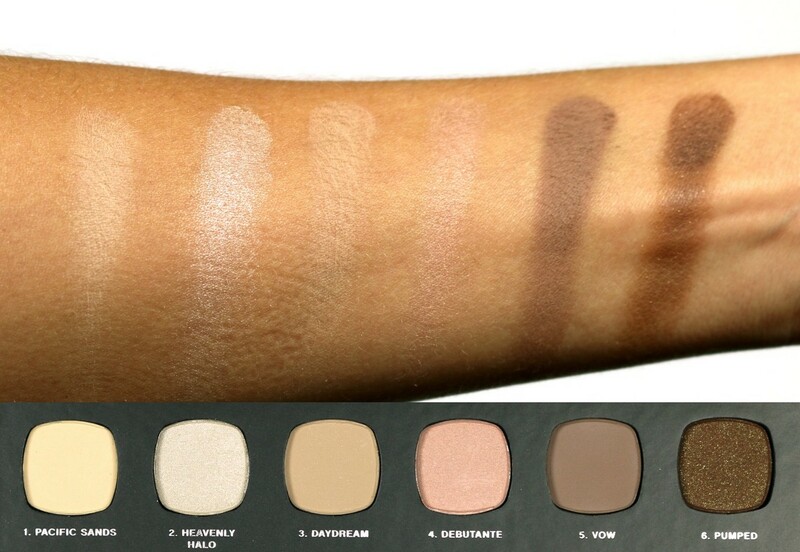 The formula of the shades is very typical of Bare Minerals, while the mattes look like the leave a lot to be desired when swatched they perform quite differently on the eye, the pigmentation pops, they blend well, layer for more intensity and give you the opportunity to choose if you want a subtle look of if you want to take it up a notch. The metallics continue to be the beautiful, buttery, intense shades we know and love, they glide on, when applied in a patting motion they are pigmented and bold and when blended they fade off in to a soft, smoked out shimmer. The Satins are a beautiful mixture of the mattes and metallics, offering a subtle sheen for those who like sparkle but don't feel the need to blind people with the brilliance of a metallic every single day. The only problem shade in the palette is opulence, I feel that it doesn't translate to anything more than a subtle sparkle on the eye, it's a little difficult to build up so falls a little flat if you're trying to create a more bold look. Other shades that disappointed me just a little, but are still perfectly usable with a little extra work are Sonnet and Black Tie Optional, Sonnet appears to be a gorgeous khaki green with gold reflects but I feel it swatches more brown, nothing particularly wrong with the shade I just wish it was more true to the pan. Black Tie Optional is a very muted black, it almost looks grey on the eye unless it's built up with many layers. 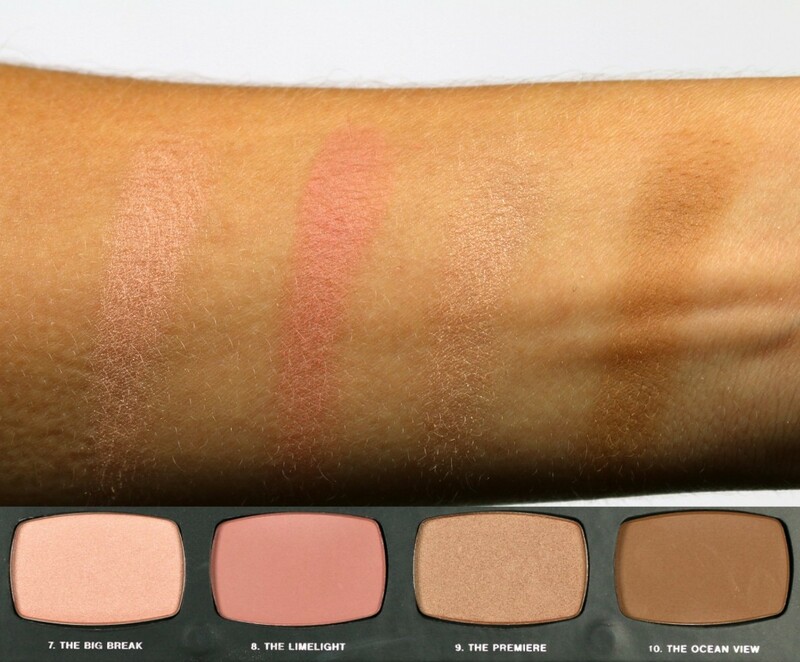 This is definitely a lovely palette, if you're in to neutral shades and like the way both warm and cool eyeshadows look on your skin then it's definitely one to consider if you're in the market for a new palette. 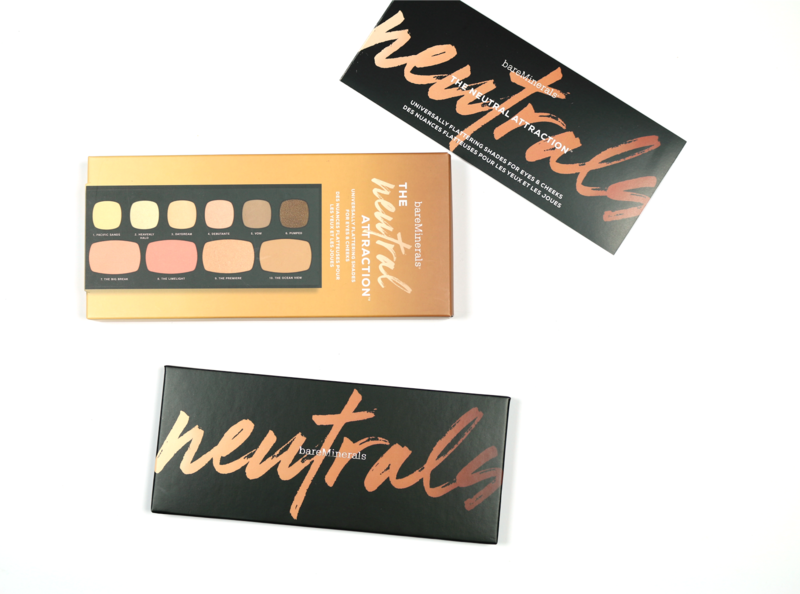 The Neutral Attraction Palette is classic when it comes to the large Bare Minerals palette releases, it contains eyeshadows and coloured face powders. Again the packaging is hard cardboard and is held closed by a magnet, the look guide for this palette is on a separate leaflet opposed to a transparent sticker over the mirror. Inside you'll find 6 eyeshadows, all on the neutral scale, along with 4 coloured face powders; 2 blushes, a highlight or blush topper and a bronzer (which I was easily able to use as a contour). 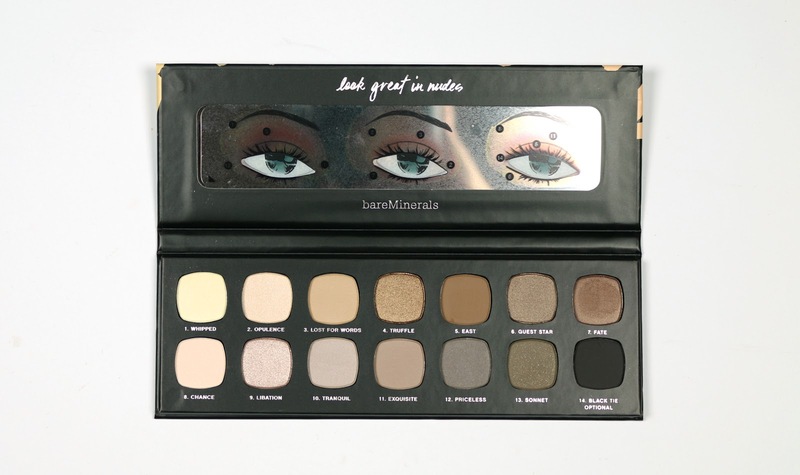 All of the eyeshadows are perfect for a neutral eye, the two darker shades can be built up for a more intense look or to create a natural brown smokey eye. The coloured face powders are really subtle, if you like your blush or bronzer to be super pigmented then you definitely won't feel the love with these. On the other hand, if you have a bit of a heavy hand and you like to be able to build your coloured base products up in layers to achieve your desired intensity then these powders will hit the mark, for someone who has a tendency to go mad with blush and look like a clown, powders like these are a bit of a god send. 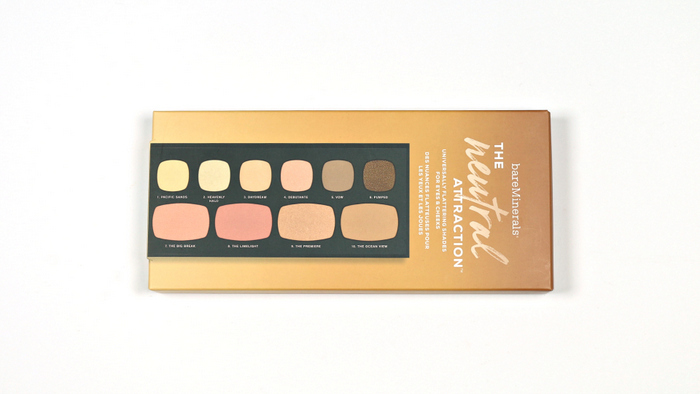 Bare Minerals The Neutral Attraction Palette retails for $67.00AUD at Mecca. 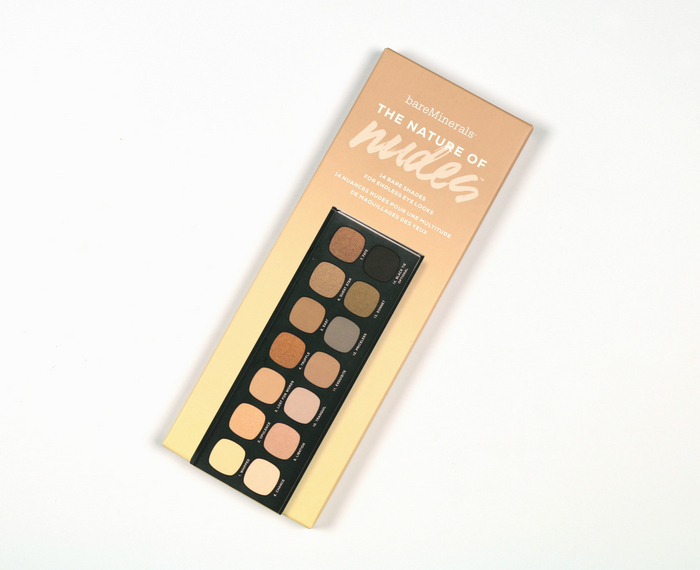 Bare Minerals The Nature of Nudes Palette retails for $63.00AUD at Mecca. While this palette is currently unavailable online I have seen it in brick and mortar store recently. 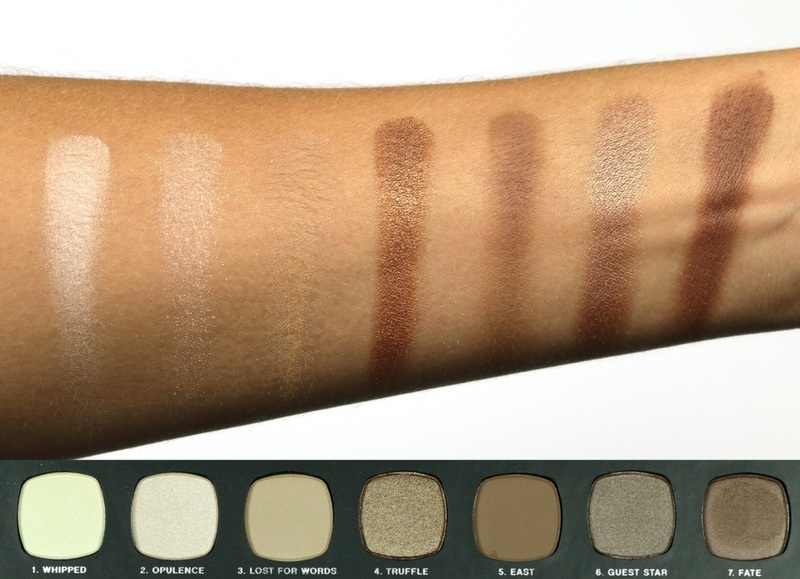 What are your thoughts on these new Bare Minerals palettes? 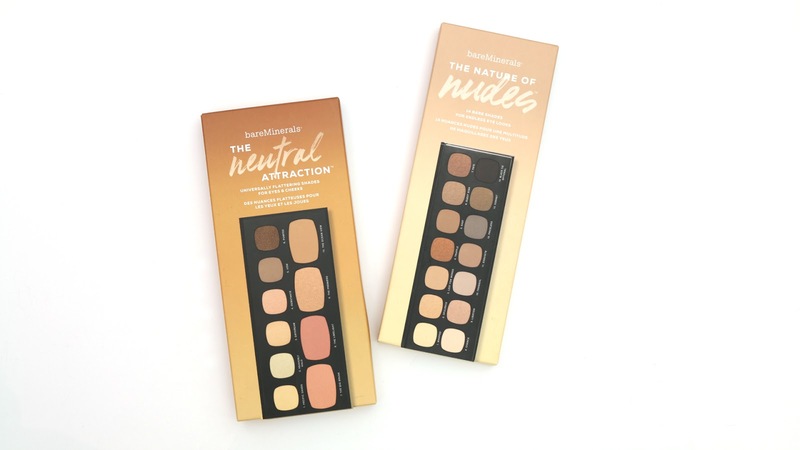 1 comment on "Bare Minerals - The Nature of Nudes Palette & Neutral Attraction Palette"
These palettes don't look too bad! 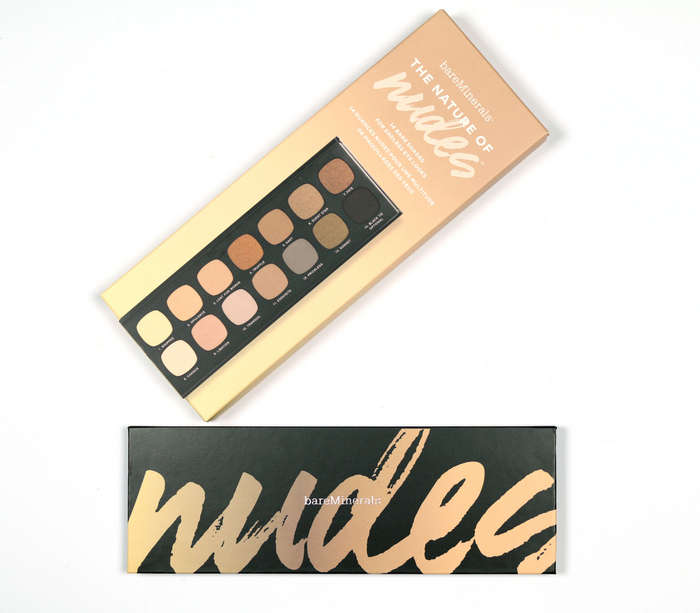 Quite like the Nature of Nudes palette...might see if I can get it when I go overseas in August. Not fussed on the eyeshadows in the other palette, but surprisingly I like the blushes & even the bronzers. Not sure how they'd go on my cool-toned fair skin though.